Everyone was surprised — even Michael Arrington was left speechless and said he was “discombobulated” — after Julia Hu was proposed to onstage during her special product announcement at TechCrunch Disrupt in New York City. Hu, CEO and founder of LARK, was near the end of her presentation when someone called out that she had one more slide left to go over. As she clicked on the last slide, she screamed as her boyfriend came running up onstage to place a ring on her finger. 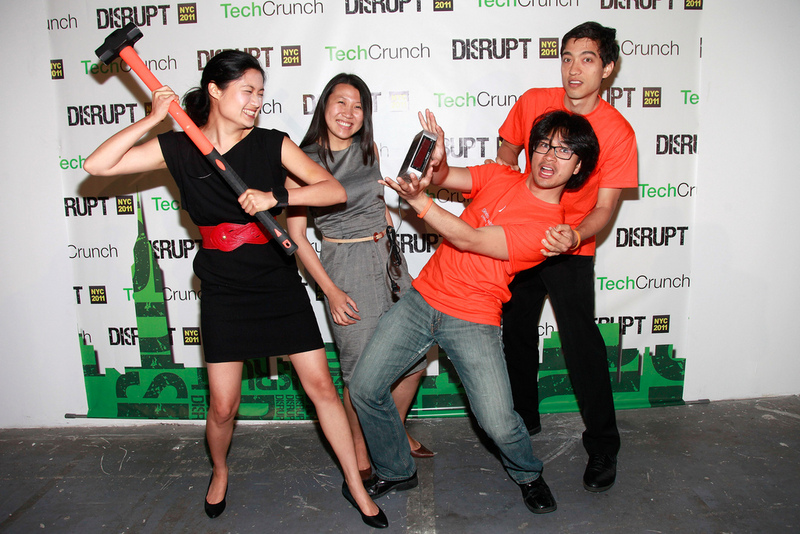 It was the first ever TechCrunch Disrupt proposal and we caught the whole thing on camera. It was sweet, touching, and hilarious. For those of you who haven’t had the chance to watch yet, the proposal and the backstage interview are below. A huge congratulations to Julia and Jeff!